Buying a home is not only stressful, but it is by far, the most expensive investment most of us will ever make. So much research goes into selecting a perspective home, yet many people randomly select someone to inspect this huge investment without so much as even verifying that they are minimally qualified. I always recommend asking questions of your perspective inspector. Many real estate agents will supply several names for the client to consider. In the final analysis, it is your choice and your inspection. The following questions may assist you in selecting an inspector. Are you state licensed? A licensed inspector must meet the minimum state prescribed and approved training program for both classroom and field training, and has been involved in continuing education as mandated by the state to maintain an active license. Verify my license here. Type in “Home Inspector” for license type and License Number “930” or my last name. Are you insured? I carry Errors and Omissions insurance, General Liability Insurance and Pest & Extended Reporting Insurance. Do you belong to any professional organizations? 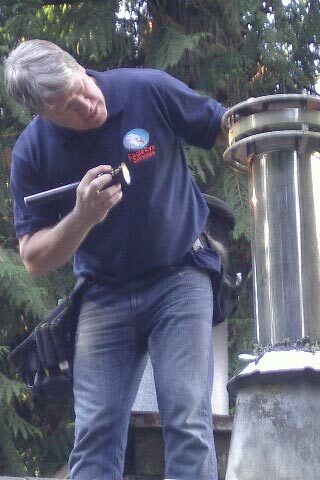 Highly qualified inspectors generally belong to organizations that not only provide continuing education but also have their own Standards of Practice that they require members to comply with. I am a member in good standing with InterNACHI http://www.nachi.org/sop.htm. Do you provide sample reports? Inspectors who are proud of their reports are more than happy to share them with prospective clients. It helps demonstrate why they should be selected. If the report is too short (not thorough enough), not easy to understand, does not include photographs or is difficult to navigate then it may be hard to use as a work product and may not be in compliance with the State Standards of Practice (SOP) http://app.leg.wa.gov/WAC/default.aspx?cite=308-408C&full=true. How soon will I get my report? In today’s fast paced real estate environment inspection reports have to be able to be reviewed and acted upon in very small windows of time. Some inspectors can take several days to deliver reports. 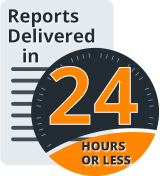 I provide reports in 24 hours or less and am always available for post report phone consultations. How long will the inspection take? Most inspections of homes in the 2000-2500 square foot range will take 2 ½ to 3 hours. Anything significantly less may not be enough time to perform a thorough inspection. Can I attend the inspection? The answer should always be “Yes”. This is the best way for you to get the full picture of the condition of the property and understand significant concerns. Part of my job is to help educate. That is always best done in person. I always encourage clients to ask questions. It is your inspection. Copyright 2014 Eagle Eye Real Estate Inspection Services. All Rights Reserved.